The London bar scene has taken whiskey drinking into the future with a vending machine that sells whiskey in soft, user-friendly pouches. 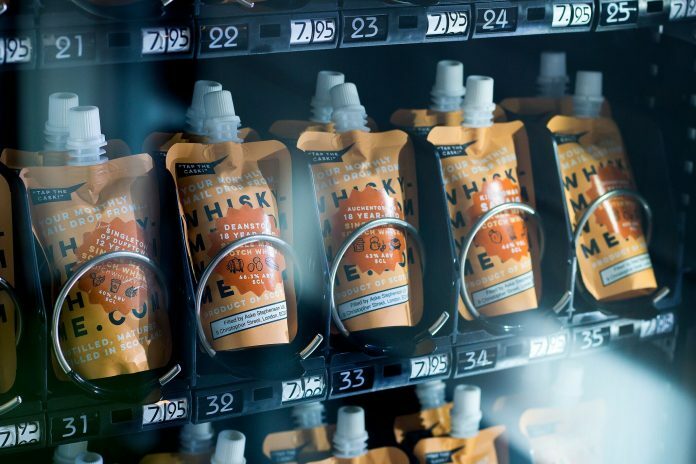 Whisky-Me, a UK-based whiskey monthly subscription service, has recently launched a way to sample their hand selected products: a whiskey vending machine. The Napoleon Hotel is housing the machine through December 2018, near their Devil’s Darling cocktail bar. Unfortunately, there’s only one machine at the moment, and it looks to be temportary. It’s a celebration of Whiskey-Me’s first anniversary business. For the worried parents out there, don’t worry: there’s protection against underage buyers. The experience requires a special token to function offered to the guest only after ID verification by bar staff. Once you have your token, its a easy as grabbing a Snickers on your break. The machine is only operational from 10 AM to 2 AM daily. Products available within the temporary instillation include single malts from producers like Macallan, Royal Lochnagar, and Aberfeldy. The 1.7 oz. pouches of straight whiskey run for £7.95, or around $10US. The machine has brought great social media exposure to the site while providing quick access to quality whiskey while the bar is busy. Whisky-Me is the brainchild of owners of another bar located inside the hotel, Black Rock, that emphasizes a special focus on whiskey and classic cocktails. 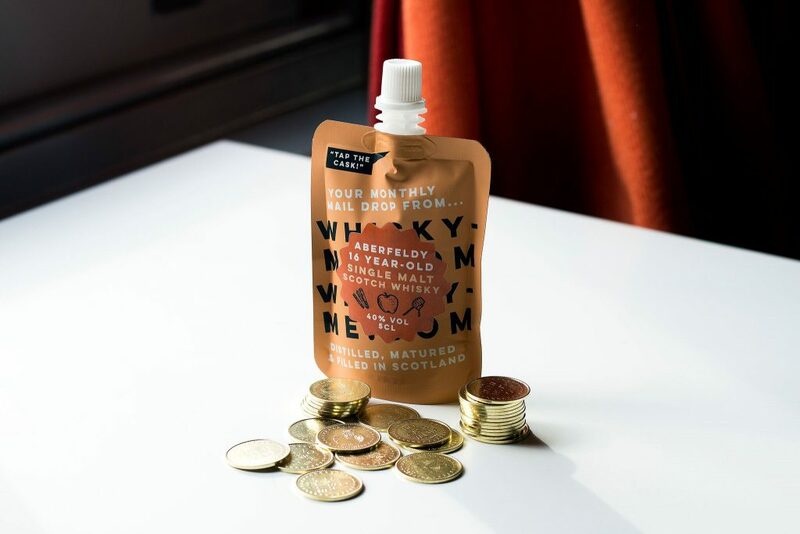 For $9 a month, Whisky-Me provides a monthly sample pouch of 50 ml dram of single malt within their UK-only service. Though whiskey pouches are clearly the future, the U.S. is unlikely to acquire them anytime soon, considering the temporary nature of the Whisky-Me promotion and the tight legality surrounding alcohol sales in the U.S. sales. That’s all fine, because a faulty machine eating your $300 for a pouch of Pappy would be really upsetting.